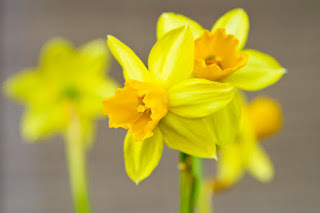 I just felt like some happy Daffodils today. These were some mini ones that were the first flowers to bloom in an arrangement from my sis-in-law. I planted these all outside. Not the opportune time to do so I hope they will come up next year. I guess I'll see.